The muscles of the forearm are located in the upper limbs between the elbow and the wrist. The name for this region is used to differentiate this part of the body from the upper arm which is located between the shoulder and the elbow. The forearm is made up of the ulna and radius bones. Several muscles are attached to these and other articulating bones. The muscles of the forearm are classified into either the anterior or posterior compartment. 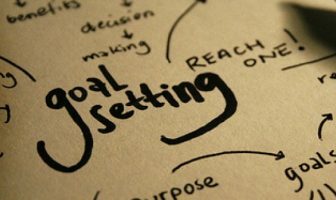 Your forearms control most of your grip strength and help with basic daily activities like picking up grocery bags to sporting and fitness activities like swinging a golf club or a baseball bat, throwing a ball, climbing and lifting weights. Your forearms also help with fine motor skills such as drawing and playing the piano. Exercise Guides For Your Forearms! Choose a Forearm Exercise! Barbell Wrist Curls Behind The Back Dumbbell Wrist Flippers One Arm Dumbbell Palms Down Wrist Curls One Arm Dumbbell Palms Up Wrist Curls Palms Down Dumbbell Wrist Curls Palms Up Barbell Wrist Curls Palms Up Dumbbell Wrist Curls Reverse Barbell Curls Reverse Barbell Preacher Curls Reverse Cable Curls Seated Dumbbell Palms Down Wrist Curls Seated Dumbbell Palms Up Wrist Curls Seated Low Cable Wrist Curls Seated Palms Up Barbell Wrist Curls Seated Palms Down Barbell Wrist Curls Standing Dumbbell Reverse Curls Standing Plate Fingertip Raises Two Arm Palms Down Wrist Curls Two Arm Palms Up Wrist Curls Wrist Rollers View Our Entire Exercise Guides Database! 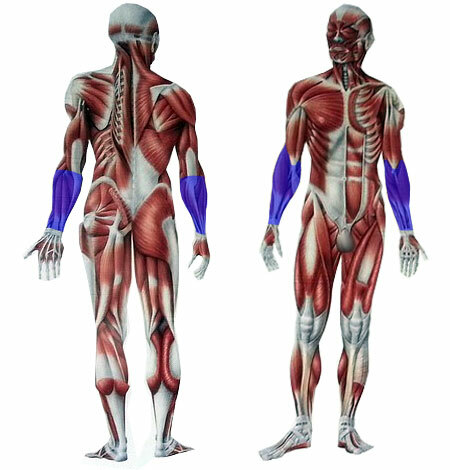 The muscles of the forearms are categorized into either superficial, intermediate and deep muscles. All of these muscles perform different functions that lead to different movements of the forearms.The anterior compartment of the forearm consists of eight muscles. Three muscles are deeply seated, one is intermediate while the rest are superficial. The superficial muscles include the flexor carpi radialis, pronator teres, palmaris longus and the flexor carpi ulnaris. The flexor digitorum superficialis is the intermediate muscle in the anterior compartment. The deep muscles include the flexor digitorum profundus, pronator quadratus, and flexor pollicis longus. The posterior region of the forearm has twelve muscles in total. Six of these muscles are located deep inside the forearms. Three of them are superficial while two muscles are intermediate. The brachioradialis muscle is unusually grouped in the posterior compartment of the forearm although it is located in the anterior region. The deep posterior muscles of the the forearms include the deep anconeus, deep extensor pollicis brevis, deep extensor indicis, deep supinator, deep extensor pollicis longus and abductor pollicis longus. The superficial muscles include the extensor carpi radialis longus, extensor carpi ulnaris, and the extensor carpi radialis brevis. The intermediate muscles include the extensor digiti minimi and the extensor digitorum. Functionally, the forearm muscles can be classified into either extrinsic or intrinsic muscles. 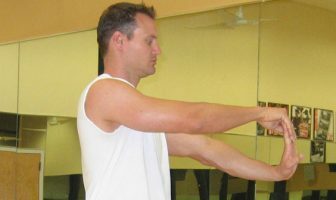 Intrinsic muscles act on the forearm. They act across the elbow joints and the radioulnar distal and proximal joints. In other words, these muscles enable the pronation and supination movement of the forearm. Pronation is the movement of the hands to turn the palms posteriorly (face-down). Supination is the movement of the hands to turn the palms anteriorly (face-up) like when you’re holding a bowl of soup. So, pronators enable the hand to face down while the supinators allow the hand to face upwards. The extrinsic muscles act on the wrist and the hand. They enable the movement of the hands across different planes. Generally, the anterior extrinsic muscles are referred to as flexors because they enhance the flexion movement of the hands. The posterior extrinsic muscles of the forearms are also referred to as extensors because they enable the extension movement of the hands. These muscles also allow the flexion of the elbow and the digits (fingers). The muscles of the forearms are extremely important, especially for fitness enthusiasts, bodybuilders and weight lifters. However, these muscles are often neglected when executing different exercises. Some bodybuilders often realize that different triceps and biceps exercises will usually lead to strengthening the forearm muscles, which is accurate since the forearms are targeted as a secondary muscle group when performing many arm movements. However, it’s important for bodybuilders and fitness enthusiasts to make sure and include specific exercises for the forearm muscles. Exercises like reverse barbell curls involves lifting weights with the palms facing toward the body. Other exercises include barbell and dumbbell wrist curls with the palms facing upwards and the reverse barbell and dumbbell wrist curls with the palms facing downwards. The forearms are a key muscle group involved with many activities and it’s important to include a few specific forearm exercises into a well-rounded fitness routine.